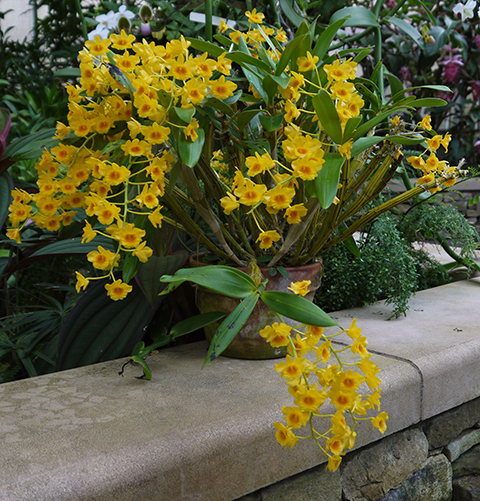 For two incandescent months from mid March to mid May the Callista Dendrobium species illuminate the Fuqua Orchid Center. It's as though they want to join the burst of spring bulbs during Atlanta Blooms. 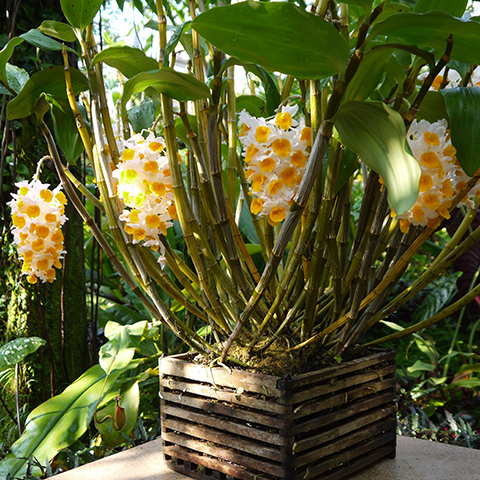 These beautiful and tremendously rewarding dendrobiums deserve greater attention from commercial growers and hobbyists. What is a Callista Dendrobium? 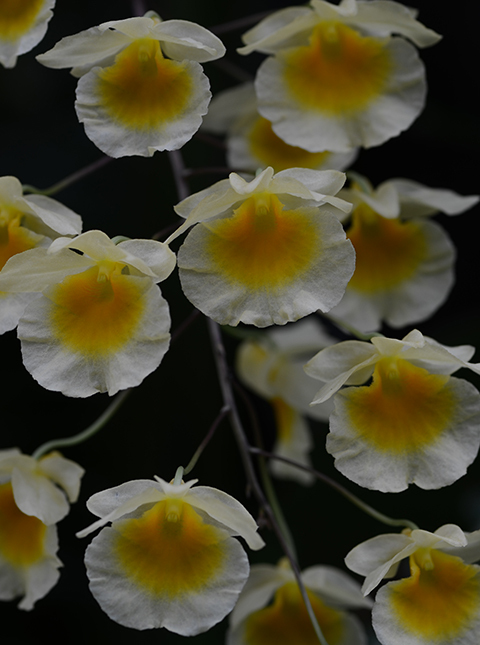 The genus Dendrobium is so large that it has been divided into sections, based on general similarity. Dendrobium section Callista* contains 10-14 of the most admired species in the genus. 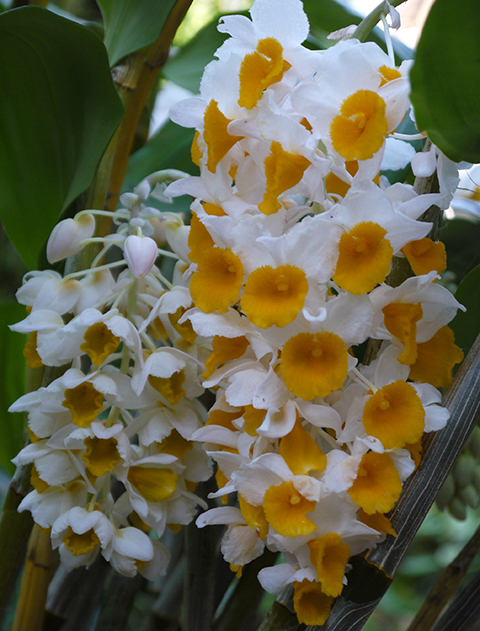 Callista dendrobiums grow in mainland southeast Asia at intermediate to high elevations in areas with a pronounced dry season. During the winter dry season Callista Dendrobium species that grow in deciduous forests experience cooler temperatures and brighter light. 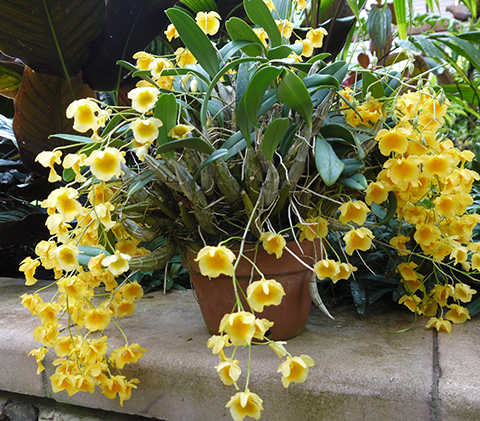 In cultivation Callista Dendrobium species need a moist tropical summer followed by a dry rest (often a cooler dry rest) in winter in order to initiate buds. Our plants receive 53º night temperatures and are watered less frequently from Thanksgiving through New Year's. This change in temperature and watering routine requires very little effort on our part. It seems insane to be so lavishly rewarded for so little effort! It's certainly not hard to figure out a way to water less frequently. If you manage the temperature drop you should definitely consider growing the Callista dendrobiums.